Based in historic Dover, Delaware, Ned Davis Associates, Inc. was founded by its principal with over thirty years of experience. The firm is ideally positioned to advise and shepherd the interests of a diverse clientele from a wide array of sections. In addition to the firm's professionals having a strong understanding of the Delaware General Assembly, Ned Davis Associates, Inc. has a strong relationship with the members of the United States Congressional delegation, state agencies, and local governments throughout Delaware. The firm brings a bipartisan, multi-disciplinary approach to helping clients tackle many of the challenges of navigating the Delaware General Assembly. Gaining an understanding of both state and local government can be time consuming and intimidating for both insiders and outsiders. Ned Davis Associates' network of contacts enables the firm to react speedily to a client's needs, along with the ability to address their issues from legislation to implementation. 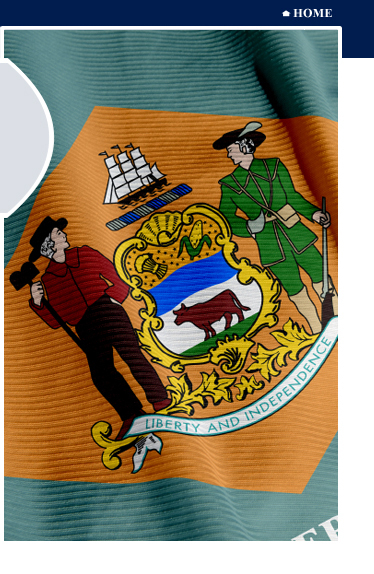 Uniquely, our lobbyists have extensive experience working in state government accumulating over 50 years of practical knowledge with a keen understanding of how things get done in Dover in addition to a broad array of contacts. We are therefore adeptly capable to understand a wide array of complex issues, quickly outline a path forward and give you the ear of the leadership in the General Assembly, the Governor's administration, key legislators and Executive branch agencies. Our lobbying team is well-versed in drafting legislation, regulations and amendments, putting us ahead of the competition. Many boutique firms or individual lobbyist require clients to either draft their own legislation or hire outside counsel. If 11th hour amendments need to be negotiated, we have the know-how to draft language that meets our clients' goals. We will also prepare detailed issue briefs, testimony and fact sheets to get your message across to policymakers as well as to your members. Building a broad-based coalition is an effective lobbying tool to secure passage or defeat proposed legislation or regulations. We have developed dozens of coalitions in recent history to successfully lobby a wide range of issues, such as defeating the increase of taxes or preventing excess government regulation of an industry. NDA in the past has teamed with a D.C. based public relations firm to represent multiple Fortune 500 clients in grass roots and constituent mobilization campaigns as it relates to addressing federal issues on a local level. If a client wish to take advantage of lobbying the federal delegation on a local level or needs something addressed in Washington, we are capable of providing those services. Although not our primary focus, we are also capable of representing our clients' interests on a local or municipal level. We have experience lobbying and working with the Wilmington City Council, Dover City Council and other municipalities as well as all three County Governments. We also provide support services to clients that either don't have the time or capability to dedicate resources to their government affairs and outreach initiatives. Having a full-time support staff, NDA has the ability to quickly and accurately mobile messages, handle mailings and email communications. As things get busy during session and our lobbyist are in Legislative Hall, we have an experienced and capable team member back at our office with experience dealing with clients' members, legislators, administering Political Action Committee (PAC) filings and working within the reporting requirements of the Delaware Public Integrity Commission. Having an office within a mile of Legislative Hall and most administrative offices in Dover, we also provide a base of operation for clients when necessary.